With my second pregnancy, I heard the same thing from the nurse over the phone but I asked if I had other options besides the drink. The drink makes me feel horrible, I feel bad the rest of the day, and my baby goes NUTS inside my belly for that hour or three hours I’m waiting, so it really made me question if this was the best route to take for us. She was annoyed with me hehe and said she would talk to my doctor and call me back. My doctor said I could get a meter and check my blood for a couple of weeks, because I scanned just two points outside of the cut off. So I ran to HEB and grabbed a cheap meter, lancets and strips. I spent around $30 and took my blood 4 times a day for a little over a week, and then sent in the numbers to her through an email. 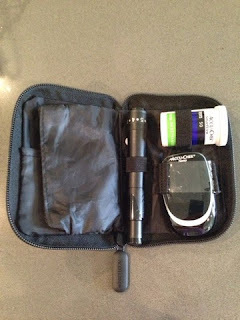 Here’s why I liked this approach versus the glucose drink… this is me on a normal daily basis and what I normally eat. I don’t normally go drink a glucose packed drink, which someone told me is equivalent to eating two snickers bars, and sit for an hour. 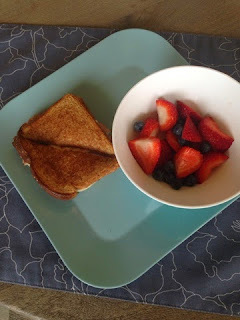 I could see at each meal how what I ate effected my blood sugar, and at first things were great, but then we hit the weekend and ate out a couple of times and my blood sugars were soaring! Bye bye Chinese food! So my doctor had me go to a nutrition class and my insurance provided the meter you see below. So I have just continued to monitor what I eat and send in my numbers by email every week or two. It hasn’t been that bad! The thing with the drink test, is that sometimes it can miss people. The nutritionist I talked with told me this! And personally, I think I was missed on my first pregnancy. I normally have very low blood sugar and have to eat often, so my “high sugars” might have been in the normal range for other people if that makes sense, but for me they were high. I gained more weight during my first pregnancy and was much more swollen at the end. This pregnancy I have gained 10 lbs less and have not been swollen at all, and I am telling you that it is because my new doctor “caught” me this time! You can also scan high on part of the three hour but not all of it and still not be labeled as having gestational diabetes, per nutritionist referenced earlier, which I did not realize! I also read some online posts about what is in the drink and it kind of shocked me that it is U.S. practice to have every pregnant woman drink something that has chemicals in it that other countries have banned and use for flame retardants…chemicals that build up in our bodies and can get into our breastmilk. Check out this link about the drink itself. It just makes me sad sometimes when we don’t have options as patients that are healthier for us in the long run…I think a lot of our options are controlled by pharmaceutical companies and what is a more lucrative option rather than what is healthiest for us all. I have friends who have used midwives and they have other more natural methods, eating certain kind of meals and checking blood sugar afterwards. The nutritionist also told me that there has been a lot of talk about going to a 2 hour test like they do in Europe, because it is more accurate, but it is very controversial because then more women will be labeled as having gestational diabetes, therefore more it will be more expensive for insurance companies in the long run. See, they really do have our best interest at heart, right?? Eeek! So, I don’t know about you but I have the most horrible cravings for anything baked or sweet during the last part of my pregnancy. Ice cream is my best friend… but not this time around. When I first found out that I had GD, I was a concerned and like great, what can I eat?! But thankfully, I can tolerate some carbs, I just have to count them and be moderate about them during the day. The nutritionist class helped show us options for meals and snacks, and basically how many carbs to have at each meal or snack to keep your blood sugars in check. It’s really amazing how many carbs we consume without even realizing it! 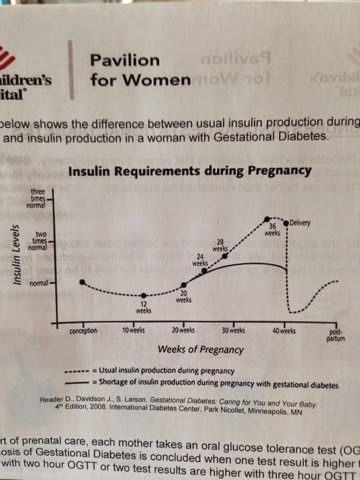 I like this diagram from the Texas Children’s Hospital Education, it shows you your insulin requirements as your pregnancy goes on. So the farther along you are, the more careful you should be because your body has a harder time processing carbohydrates and sugar since it isn’t producing enough insulin. As my pregnancy has progressed, I have tried to cut back a little more just because my blood sugar numbers have been creeping up a little bit. I feel like the name of this game is to just make sure you are spreading out your carbohydrates appropriately throughout the day. 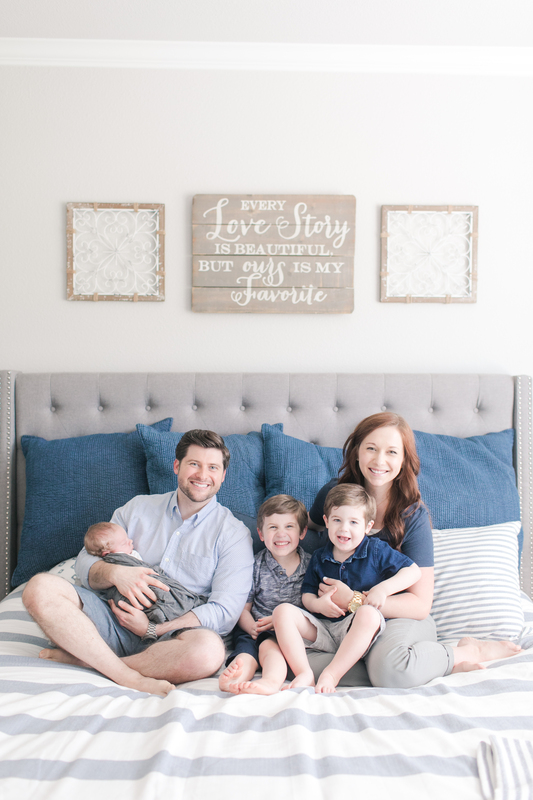 Obviously a Paleo diet would probably be most ideal for gestational diabetes, and I tried that kind of diet after having Jackson, but for whatever reason, it has been so much harder pregnant to stick to that! Chalk it up to hormonal cravings I guess! So I thought I would list out some of the meals and snacks I eat just in case anyone else is in the same boat! Salads are my best friend… Add some avocado, Chicken or even Turkey lunchmeat (heated), some boiled eggs and you are good to go! Cheese and chicken or bacon quesadilla with a side of salad for lunch! 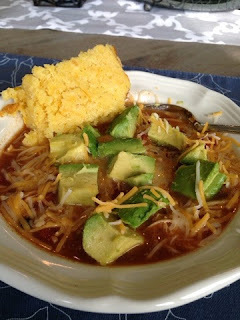 This Chicken Margarita Soup is such a yummy soup and so easy to make! I even did a side of mexican cornbread with it! 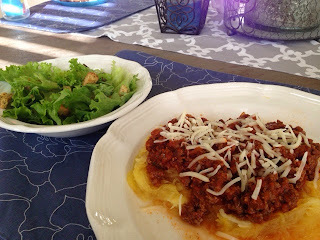 One of my favorite dinners – spaghetti on spaghetti squash! Don’t be intimidated by the spaghetti squash, it is so easy to bake! Just cut in half, pour on some olive oil after scooping out the insides, flip the two halves upside down and bake on 400 for 45 minutes! Another easy meal, have your hubby grill burgers! 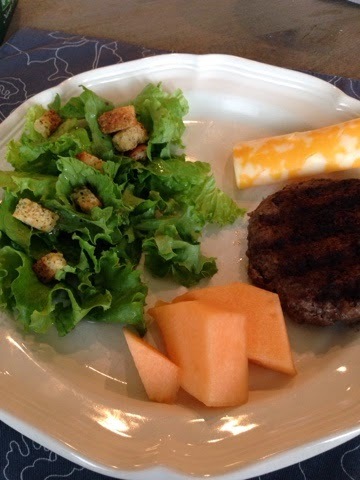 So easy to just eat the hamburger patty with some sides! I don’t have a picture for these two, but this BBQ pulled pork was yummy on top of a baked potato! Just make sure your potato isn’t HUGE! 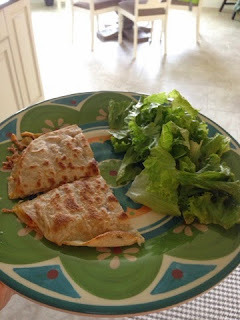 I also made these Chicken Caeser Wraps and just had it on salad. My hubby had the wrap part, and you could too, just watch your carbs! Also, tacos or nachos are easy to make as well and something you can monitor easily. You’ll notice that a lot of these meals are easy, because at this point I am tired and running around after an almost two year old!! 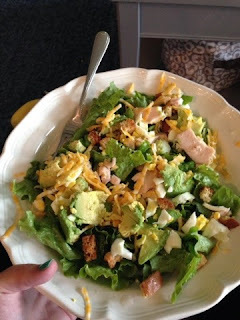 Look on Pinterest for more meal ideas, there are a ton out there! Couple of other tips… become a plant! 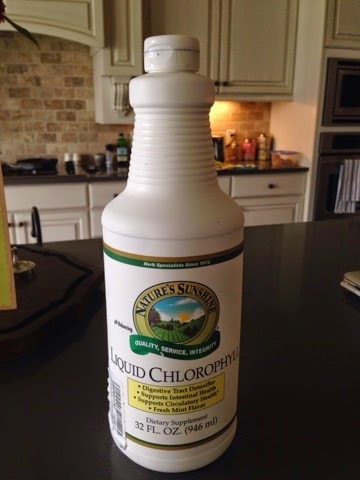 Hah, just kidding, but drinking liquid chlorophyll each day, twice a day, helps with circulatory and digestive health. I thought it might be weird but I kind of crave the minty flavor now! Got this bad boy off of my favorite Amazon of course. Came right to my door, the kind of service I like! Lasts for a long time because you only drink 1 tsp per glass of water. Another tip, suggested by my friend who also has GD… I know, what are the odds that both of us had it when it only occurs in 3-9% of pregnancies?!? She told me to drink milk at night. This helps your body regulate your sugars while you are sleeping and help you with your fasting number when you get up in the morning. Well, there you have it, my thoughts on gestational diabetes… Good luck to anyone that has it, because it can be trying at times to manage, especially if your body doesn’t tolerate carbs at all! And it gets harder as your pregnancy progresses because of the baby’s needs for insulin! Hang in there! It will be worth it in the end when you have a healthier pregnancy and a healthy baby! Next Packing for the BIG trip to the hospital! !